Provide shoppers with an option to give tips in your online store by credit card instead of cash upon delivery. The Delivery Tips add-on allows your customers to leave tips during checkout. Some customers may prefer giving tips by credit card but not in cash upon delivery. Provide them with such an option. Allow shoppers to specify the amount of tips they want to leave right at checkout. Tips are enabled separately for each shipping option. The amount of tips can be edited in the admin panel. 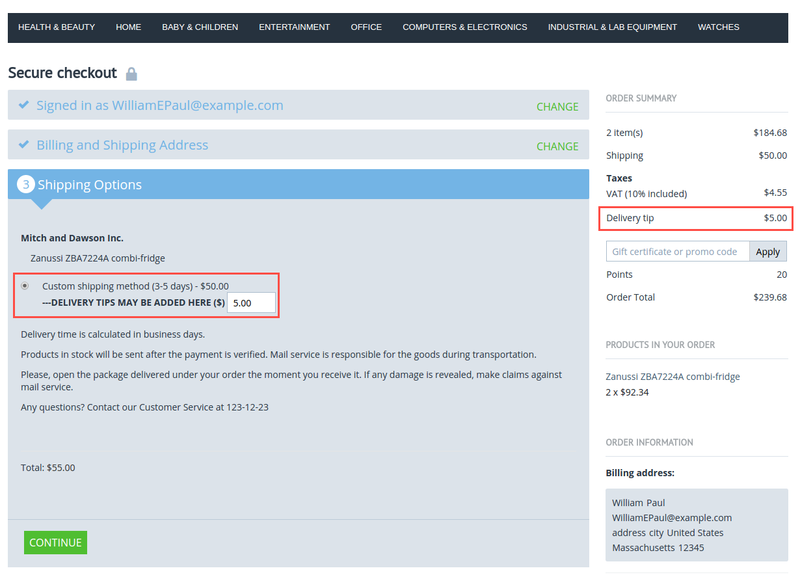 Delivery tips are shown on invoices. You can edit the text notifying that tips can be given. The total shipping cost is updated automatically if a customer changes the amount of tips. 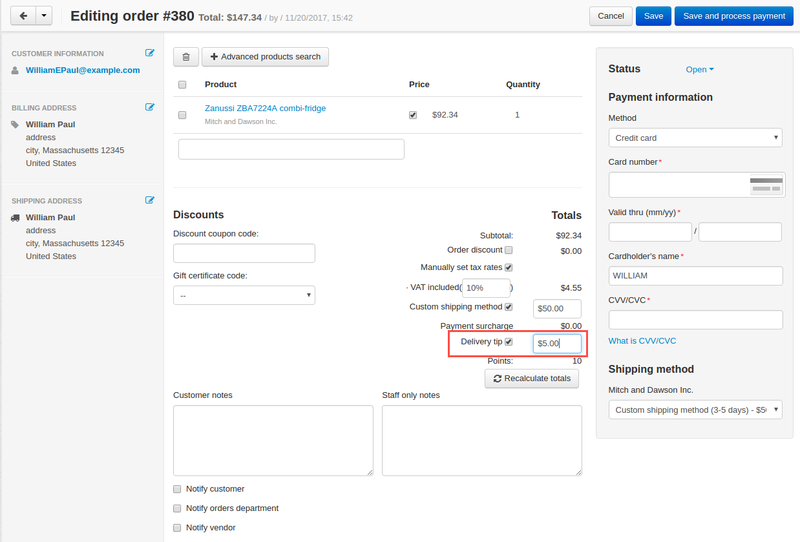 [+] The ability to automatically update the total shipping cost on the third step of checkout has been added. The value will be updated when a customer changes the value of the Tips input field. [~] The language variable has been renamed from ‘Delivery tips’ to ‘Delivery Tip’.